Not sure how I’ve gone this long without reviewing this fish cutlery and it’s by Yamazaki who’s work we have looked at before. This is the cutlery you want in your cabin or camper and the perfect gift for that Mad Fisherman in your family. The “Gone Fishin” set by Yamazaki is made of dish-washer safe 18/8 stainless steel. 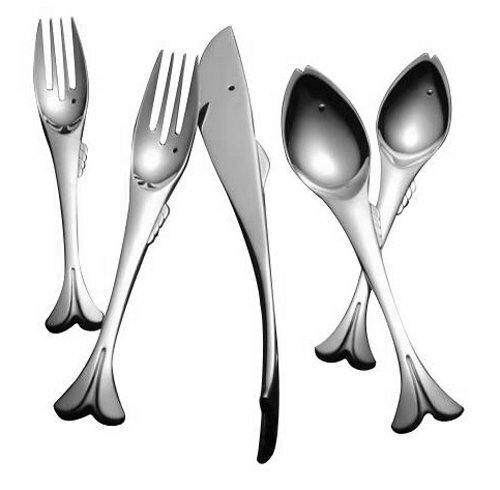 This 20 piece set consists four each of a dinner knife, dinner fork, salad/dessert fork, soup/cereal spoon and a teaspoon. Functional and fun!